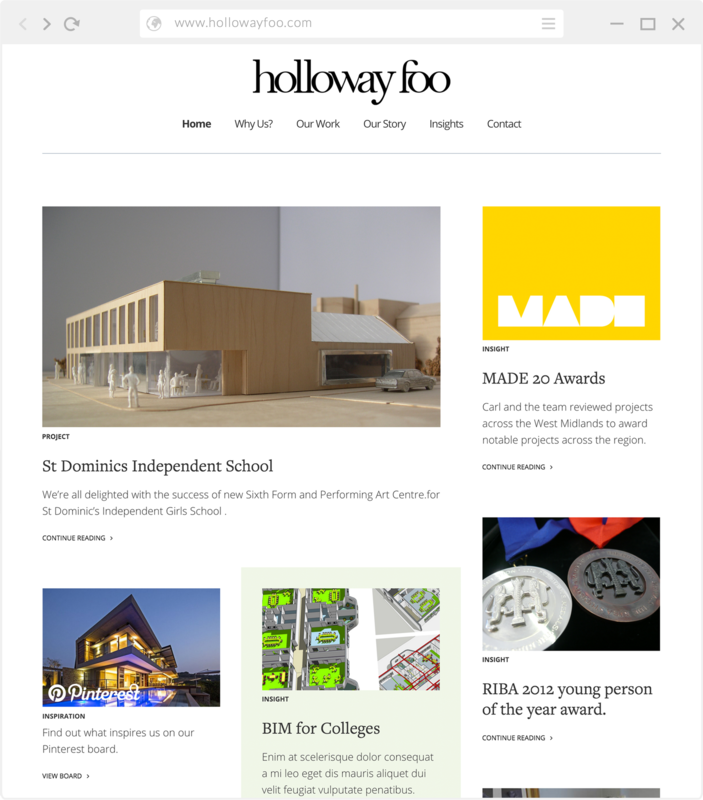 Award winning architect, Holloway Foo approached me looking for a website to showcase their national projects in a creative way. Holloway’s work inspires children to learn, people to feel at home and communities to come together and celebrate life. They were looking for a site to showcase their significant projects that portrayed the character of their business. Both being designers, this client was a great fit. Using a collaborative approach, initial requirements began by sketching with the client to produce ideas for their new brand and website. From the initial sketches I produced a new brand; a new logo and business cards. After reviewing the current content and a few more sketches I generated clickable wireframes, ensuring the client was happy with the layout, interaction and user experience via the prototypes. Up against a tight deadline, I produced a concept or approach but quickly moved to design directly into the browser. Because it was a fairly uncomplicated design we could afford to make tweaks and changes in development. I then built the site using the client’s content management system of choice – WordPress. As well as being a great fit, the client being a designer meant that they had high expectations, but also understood the principles that could be similarly replicated on the web. Content also proved to be a sticking point and versions of content had to be scrapped or reviewed which delayed the launch – this is due to us all being perfectionists and wanting the best possible site to go live. We got there and we are all very proud of the end result.